Home Business Search Engine Optimization How Do I Optimize My Site For Voice Search? Technology is shaking almost every facet of our personal and professional lives. Whether you are a tech enthusiast, a tired engineer or a corporate cog who loves the status quo, you can barely live without catching the tide. Automation, computerization, and artificial intelligence are now the order of the day. Then there is Google’s SEO voice search technology. In the past, Google has taken bold steps towards becoming a star trek computer, as reported by Amit Singhal, the head of Google’s search rankings team. Along with natural language processing technology, the voice over technology is undeniably one of Google’s most exciting advances to date. 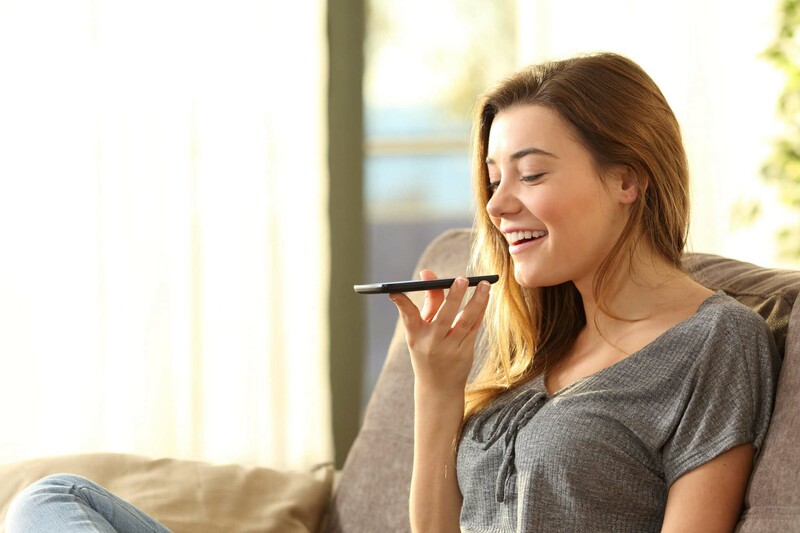 Leading research firms report increasing use of this technology, with forecasts indicating that between 30 and 50 percent of all searches will be conducted via voice, come 2020. Now is time for firms to create an optimization approach for voice search to stay on top of the competition. Although some sites are yet to implement this technology, mostly those who are don’t embrace change, they will soon witnesses the magic of this technology, and definitely, embrace it all together. This article is a roundup of how you can optimize your site for voice over. But first, what is Google voice search? And where is its origin? What would be the best voice search tips? Traditionally, when you want to search for a particular word from the web, you will type the word into a search engine, and the results are displayed there. Now, technology is born, which allows users to search the Web using Google through spoken voice commands, dubbed voice over search. There is no difference between a spoken search and a typed search. Basically, users are taken to a search engine results page whether they spoke their query or typed it, with a couple of potential exceptions. Note that Users searching for directions from their mobile devices may see a different SERP than the same search one from a desktop. Generally, though, voice search queries often return similar results as typed queries. It’s now a lot convenient to speak your query rather than type it. Just like many other Google services, Google voice search was birthed from lab experiments by Google’s technological enthusiasts. Then the user would say whatever words they wished to search for, which would, in turn, update an open webpage with results for their query, or still provide a link to take users to a search engine results page for their query. Definitely, this would not be a welcome idea, as it involved a lot, and complex for amateurs like myself. However, it would later pave the way for radical developments in speech recognition technology that would shortly after be globally demanded service. Later, Google voice search was officially launched and here it is in the market today. Then Google began integrating its voice recognition tech into other Google products, including Google Maps, its virtual assistant Google Now, and even the core of its underlying search engine tech. I can’t fail to mention one of the latest powerful improvement to voice search: the Hummingbird. This is a tech that completely changes its core algorithm in the latest memory. This update was a game changer in all aspects of the voice search. Of the biggest elements of Google voice search that completely changed was the emphasis on semantic search or the implied meaning of search queries. You will agree that it has been really rocket science for machines to understand what users are actually looking for. That’s why the Hummingbird update comes so essential – it signaled a shift in Google’s capability to determine the intent behind pretty unclear searches. We are going to take a look at semantic search in action, using Google Voice Search: Google Voice Keywords. We want to conduct a voice search for Zoe Saldana, for instance. This is an actress who stands out her roles in the Avatar and Guardians of the Galaxy movies. Now we have the initial search, and we won’t put the semantic understanding into test by asking many similar queries that are ambiguous and impossible to answer accurately. Rather than provide us with information about Saldana’s character, Gamora, Google serves up a range of character information from the movie, including Saldana’s character as we can see on the right-hand side. Further, we can still ask Google related questions without many specifications. Google knows that we’re probably still interested in Zoe Saldana, so it fills in the blanks in sequential voice searches: Fantastic! Today, Google voice search optimization has seen much improvements to fit diverse products and applications. Consequently, Voice search has become one of Google’s t powerful experiences that are taking the world by storm. For many years now, Google Voice Search has been fundamental to Google’s virtual assistant, Google Now. In fact, most people who have appreciated the technology cite its combination of Google’s powerful search algorithms with its sophisticated natural language processing (NLP) technology, something which gives it an edge over its competitors — Apple’s Siri, Microsoft’s Cortana, or Amazon’s Alexa virtual assistants, etc. On a keen look at Google voice search, you will definitely appreciate this advancement as a mix of several other products by Google. That alone tells us what the future of search might look like some years from now. Take, for example, cross-platform conversion tracking in Google Analytics. Google has made a great step forward in making it possible and easier for advertisers to identify both offline conversions and converted sessions that take place across multiple devices. That’s not all; it is even considering adding voice query data to the Google Search Console. As it seems, Google knows better: the days of single device conversion pathways are gone. Today, everyone is in a multi-device media environment. Likewise, the way search for information is conducted has since changed, and a single approach to optimization is both unwise and completely unrealistic in today’s online environment. Are you wondering how to go about making your site voice search friendly? Well, if you’re familiar with the existing SEO best practice, you are steps ahead, and by far standing better places in optimizing your site for voice search. Admittedly, if you have no SEO knowledge, you may still have to take lots of lessons before you are ripe for voice search. As such, it’s crucial that you put yourself in the shoes of the user when especially when it comes to structuring your site and your content. This is done best by pre-emptively answering questions. Basically, make your site easy for users to navigate your content, and you will definitely show up in search results. Remember to show images as plain as old HTML. Google does analyze the image content to provide search results, but forcing it to do so will almost certainly harm your visibility. Next, have in mind what your actual products or services are. Obviously, you know your business from every corner, and this doesn’t mean your customers do, so have a unique selling proposition, which is relayed by the content on your site. Although it is not wrong to optimize for sites like sites other than Google, the only challenge underlying this strategy is that of market share and the current state of SEO. Look at this: Apple’s iPhone is remarkably the most popular smartphone manufacturer in the U.S., which finally outdid Samsung as the world’s largest smartphone vendor. Yet the iOS still accounts for just 31.3% of U.S. smartphone market share, meaning that purposefully optimizing for specific search engines other than Google is unlikely to bear significant fruits. As for the state of SEO, the way other search engines work shouldn’t determine how you structure and optimize your site, not unless there is a strong why. Schema, better-dubbed mark-up, is what allows webmasters and site owners to provide search engines with additional information about the information on their site. Ideally, it’s like metadata or data about data. It allows you to comprehensively describe what the data on your website means, making it easier for Google to “understand,” hence boosting visibility. Unknown to many, it’s one of the best SEO practices that can potentially put you ahead of the competition on the web. One way to optimize your site for voice search is by employing long tail keywords. These are longer than the typical search query. Contrary to typed search, voice search is conversational and therefore take conversation form. By aiming at long-tail keywords, you stand a better chance of ranking and appearing prominently in search results. Also, long-tail keywords are way cheaper and boast much better click-through rates as compared with shorter queries. The more current your information in Google My Business listing is, the more your site will be to the mobile “near me” searchers. Even little information on parking availability is potentially persuasive, so make sure that your Google My Business listing is as complete and comprehensive as possible. Local Search Ads in Google Maps is also another great method of reaching the right people, at the right time, and the right place. These ads appear above organic results in Google Maps and can help drive more foot traffic to your store or location.